According to Mark Phillips and Cathy O Brien, the United States is run by an elite group of New World Order fanatics who are involved in the abduction of sexually abused children. These children are brainwashed and turned into slaves by the US Government. 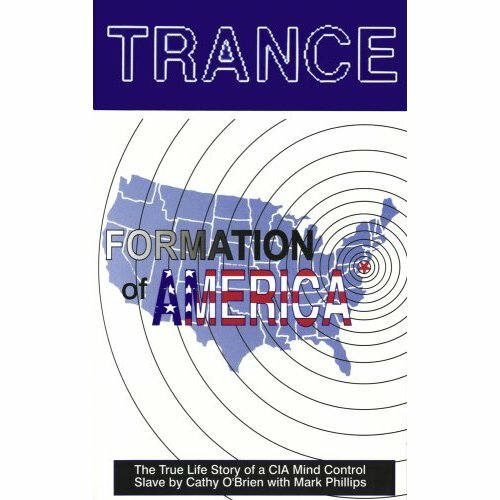 Cathy O Brien claims that she was abducted into the CIA s MK Ultra mind control project, suffered years of torture and abuse and would have been killed if not for her rescue by Mark Phillips. Written in a lucid hallucinatory style, Trance is hard to put down. The names named and the crimes sighted are of a magnitude beyond anything you can imagine. 27 queries in 0,291 seconds.